Although El Niño events are part of a natural climatological cycle, shifts in global atmospheric and oceanographic patterns are expected to affect their nature. Research suggests that as the ocean surface continues to warm, particularly in the eastern Pacific (i.e. along the coasts of California, Oregon, and Washington), both the frequency and intensity of El Niño events are likely to change significantly in the future. When combined with sea level rise, flooding and other impacts associated with storms will also begin to reach further inland. The 2015/16 El Niño was one of the strongest of the last 145 years, with winter wave energy equal to or exceeding measured historic maxima all along the Western US coast and anomalously large beach erosion across the region. Ocean conditions for winter 2018/2019 are showing a strong probability that an El Niño will form and continue throughout the Northern Hemisphere, possibly extending through spring, and its peak influence is anticipated for the December-February period. 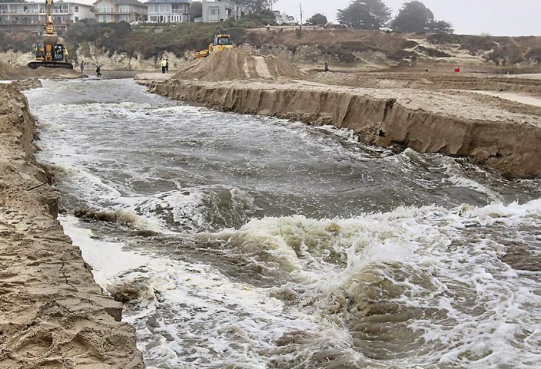 To prepare for impacts due to flooding, unusually large waves, heavy precipitation, and erosion, coastal Californians can begin to take measured steps now. Below is a collection of checklists for various audiences as well as some basic information about El Niño. The Commission is encouraging coastal residents to inspect their property prior to the onset of storms and to do what is possible to minimize potential damage associated with storm hazards. Certain types of preparation (and response) may require a permit – please consult with Commission staff if you have any questions or concerns. Commission staff will continue to add relevant information to this page throughout the season – please check back for updated information on a regular basis. Local governments and property owners are encouraged to assess their situations or properties in preparation for the winter and to reach out for consultation or direction. If there is a certified Local Coastal Program, property owners should contact the local government staff directly. If the work involves any shoreline protection or bluff work, property owners should contact both local government staff and Commission staff. In anticipation of a potentially intense storm season, Commission staff is encouraging coastal communities and residents to prepare by conducting common sense property inspections and maintenance activities to minimize possible damage. Some items may need to be revisited throughout the season or following each storm. Activities that are more involved or that could potentially impact coastal resources may require a coastal development permit, particularly if they involve grading, landform alteration, or the use of mechanized equipment on the beach or near a coastal floodplain or bluff – if there is any question concerning your particular situation, please contact Commission staff for consultation. Many activities can be reviewed quickly and permits may be waived or expedited to allow protective measures to be taken prior to the storm season, but to avoid violations it is important to contact staff first. Coastal communities and their local governments can prepare for El Niño by checking debris basins and flood control channels, storm drains and culverts, community buildings, and shoreline protection devices falling under their ownership or maintenance agreements. Being aware of where recent fires within the watershed have denuded slopes or hillsides can help identify areas vulnerable to mudslides and debris flows. Designating temporary stockpile sites for localized slides, debris flows, or slumps that may affect public services is another preemptive measure. Along waterfronts, plans for breaching closed estuaries that present a flood risk to adjacent areas, or building up temporary beach berms with sand may be effective. Outreach efforts to educate and discuss options with local residents may also prove helpful. 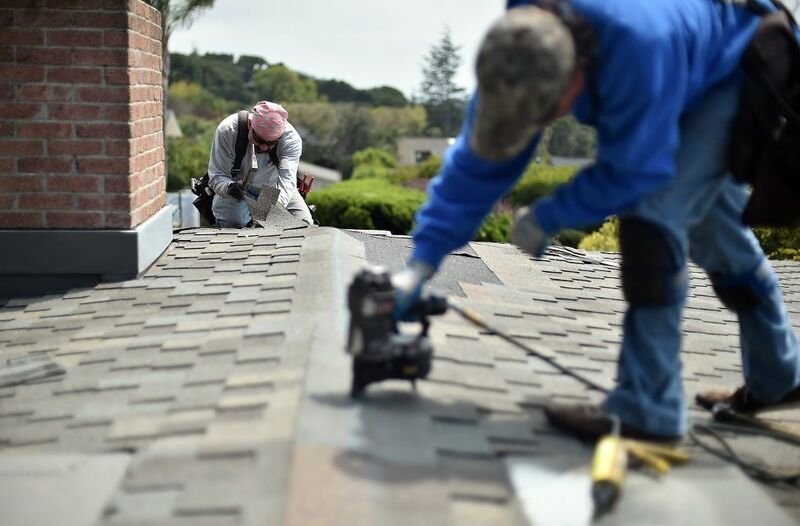 In general, residents can prepare for severe storms by inspecting roofs, retaining walls, and slopes for any signs of wear that could worsen during or after intense rainfall. Cleaning drains and gutters around a property and visually checking for obstructions around nearby storm drains are other good practices. In the latter case, if there are potential problems, notify any responsible agencies to request maintenance. Ensuring that yard areas are free of dead trees or limbs, debris, furniture, or anything else that may be susceptible to strong winds can reduce damage risk. Large swaths of bare ground or exposed soil can be readily protected by covering the area with mulch, vegetating with native plants, or securing it with outdoor fabrics. Shoreline properties face several additional risks during large storm events. Structures that currently protect property from waves and erosion (such as seawalls, revetments, and cave fills) should be inspected for signs of distress, loss of material, obstructed drainage, etc. Beach areas should be cleared of objects that may potentially become battering rams or damaging projectiles during a storm. Blufftops and slopes should also be inspected for instability or potential drainage issues. Temporary and removable protection (such as sand bags, sand berming, and beach nourishment) may be considered if there is a need for extraordinary protection but in many cases, will require a permit – please contact Commission staff before undertaking such measures to discuss options. Emergency permits may become necessary when sudden, unexpected events occur, requiring immediate action to prevent or mitigate loss of life, health, property or essential public services. The Coastal Act, and most Local Coastal Programs, provide for the authorization of such permits, though the process is meant to allow for only the minimum amount of temporary measures necessary to abate the emergency rather than the installation of substantial protective works that might not otherwise be allowed. Emergency coastal permits authorize development temporarily, and anything intended to be kept for the longer term will be required to obtain a regular coastal development permit through follow-up. If you think you need an emergency permit, please contact Commission staff as quickly as possible to determine whether your case meets the necessary criteria. The emergency permit application is available in two forms under the Resources section of this page. In the wake of a storm season, recovering from damages begins by either newly addressing or following-up on issues such as the removal of major debris, stabilization of a landslide, or reinforcement of a structure. Where such development activities have not been previously authorized, a regular coastal development permit may be required. If an emergency permit was granted earlier in the season, it may be necessary to follow-up and obtain a regular coastal development permit. By design, emergency permits only authorize development temporarily and on limited terms in order to abate situations posing an immediate threat or impact to life, health, property, or essential public services. A regular coastal development permit is subsequently required for any development to be maintained and/or built beyond the scope of the emergency permit. For more information about coastal development permits and when they are required, please contact Commission staff to discuss specific cases. From critical infrastructure to private property, public access, land and marine resources, and local economies, El Niño events have historically affected coastal resources across California. Because the nature of each El Niño is shaped by an array of ever-changing climatological forces, the impacts also vary from one event to another. In many cases, the extent of impacts will depend on the coincidence of waves, winds, tides, precipitation, and other factors as well as their intensities. The 1982/83 and 1997/98 El Niños have been among the most damaging and well-documented events in the modern record (both are classified as 'extreme' events) and illustrate the magnitude of impacts El Niño can have in California. Coastal hazards associated with extreme El Niño events include waves (as sources of flooding), landslides, debris flows, road closures, oil and sewage spills, and structural damage. 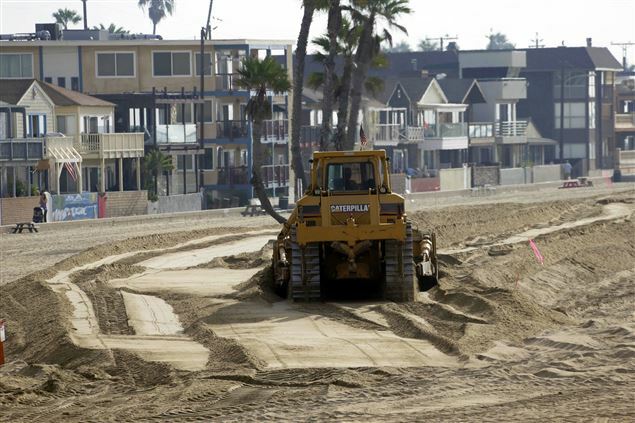 In the wake of the 1982/83 El Niño, the US Army Corps of Engineers reported 33 ocean front homes had been destroyed and that another 3000 homes along with 900 coastal businesses were damaged by associated storm surge, waves, and other forces. (1984 Task Force Report: Coastal Storm Damage, Winter 1983). During the 1997/98 El Niño event, there were 17 storm-related deaths in California and at least 27 homes were red-tagged within the coastal zone. The El Niño Southern Oscillation (ENSO) is a naturally-occurring cycle driven by interactions of oceanic and atmospheric forces in the equatorial Pacific Ocean. Influencing climate globally, the ENSO cycle has three phases – El Niño, La Niña, and neutral. Neutral phases are defined by long-term sea surface temperature averages in particular regions of the Pacific while El Niño and La Niña phases correspond to significant warm and cold anomalies, respectively. The ENSO cycle tends to recur every 2-7 years with El Niño and/or La Niña conditions typically lasting 6-18 months at a time. El Niño and La Niña phases are considered asymmetric, with El Niño phases occurring more frequently and tending to exert disproportionately stronger effects on regional climate than La Niñas. During an El Niño phase, warm water builds up across the equatorial Pacific Ocean and spreads eastward to the coasts of North and South America, affecting circulation patterns in both the ocean and atmosphere. Sea levels temporarily increase with the thermal expansion of water and storm trajectories shift, redirecting precipitation from the Pacific Northwest and Alaska towards California. As the warm water floats over denser, cooler water, ocean thermoclines deepen and effectively block the upwelling processes that deliver essential nutrients to coastal ecosystems. Over the past several decades, scientists have become increasingly adept at forecasting the onset of El Niño conditions by interpreting patterns in the ocean and atmosphere; however, it remains challenging to predict the intensity, frequency, and duration of any given El Niño event due to interactions with the multitude of other factors also influencing climate (e.g., the Pacific Decadal Oscillation or the ‘Ridiculously Resilient Ridge’). For technical information about El Niño forecasts and current conditions, visit the National Weather Service’s Climate Prediction Center. Current science suggests that changes in the global climate will intensify ENSO patterns in the future, increasing both the strength and frequency of observed El Niño and La Niña phases. Using 20 different models, Cai et al (2014) explored the potential effects of greenhouse warming on El Niño frequency in the 21st Century and found strong evidence for a doubling of extreme events like those observed in 1982/83 and 1997/98. In a related 2015 study, they made similar findings concerning extreme La Niña events, with 75% of these being likely to occur in the year following an extreme El Niño. Other work by Barnard et al (2015) has recently shown that coastal erosion in California increases by as much as 69% during extreme El Niños and is primarily driven by increases in wave stress (i.e. energy and directional shifts) and sea level. Taken into consideration collectively, the implication of this research is that California may be particularly susceptible to increasingly extreme and episodic coastal hazards in the future. Independent of future global sea level rise projections, El Niño conditions contribute additional periodic increases in sea surface height as the warm water expands and storms approach the coastline. Coincident King Tides further augment sea levels such that altogether, tides, elevated sea levels, storm surge, and waves can drive waves and coastal flooding much further inland than normally-observed. Click here for a visual explanation of these factors. Sea surface temperature anomalies along the equatorial Pacific Ocean during El Niño (left) and La Niña (right) phases of the El Niño Southern Oscillation cycle. Colors illustrate the magnitude and spatial extent of observed anomalies relative to long-term sea surface temperature average. A neutral ENSO phase would be represented by minimal variation and mid-scale colors on the ocean surface. Image source: Steve Albers, National Oceanic & Atmospheric Administration. California’s precipitation (as % of normal) during six historical El Niño events illustrates that while increased precipitation is often associated with El Niño, it may be limited to only some parts of the state while others experience water shortages. In California, coastal flooding results from the additive effects of several factors including daily tides, King Tides, El Niño, coastal storm surge and waves. This infographic illustrates how a seaside structure that may be safe from daily tides can be quickly threatened during a winter storm, particularly during an El Niño event. Image source and additional detail available at: National Ocean Service.